At present YouTube is the no 1 video sharing site. YouTube has over one billion of users and each day people spend hundreds of millions of hours here. We search YouTube videos for music video, video search, game review, tips & tricks, tutorials and for many other reasons. But do we know how to search video on YouTube effectively? Most of the time we type our keywords in the YouTube search bar and hit enter. 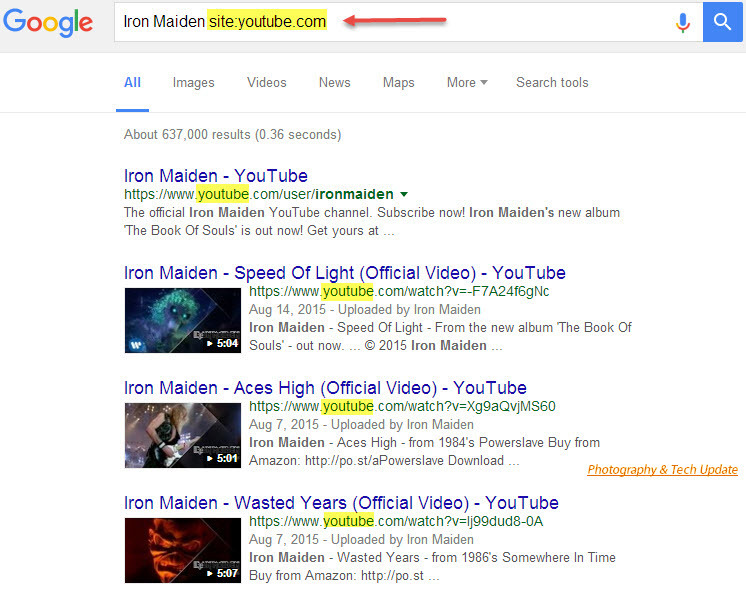 If we use some YouTube search tip and tricks then the search results can be more efficient. Today I going to share some advance YouTube search tips with you. YouTube is a partner of Google so you’ll see some similarity in some search tricks of google search and YouTube search. In some cases some searching methods are same but in most cases they are different. You can also learn advanced google search tips and tricks. It is worth learning and you’ll never regret learning this. Now we’ll see how to filter YouTube video search results to find what we exactly need. Sometime we forget to use the YouTube default filter. 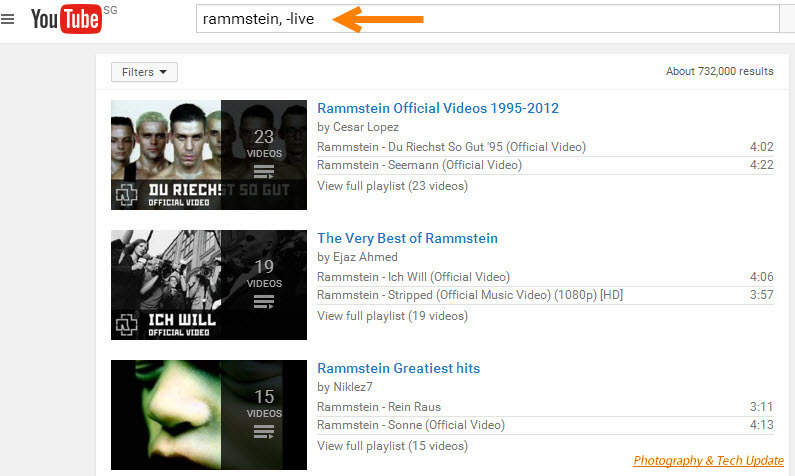 This filter helps us to be specific on YouTube search results. Categories of default filters are Upload date, Type, Duration, Features and Sort by. Each category has some sub-categories. If you want a video in 4k format with less than 4 minute duration you can set the filter here. So you will get all results according to your choice. You can use google search tricks to find videos only in YouTube site. You can tell google only to search video inside YouTube. Google will show you video search results only on YouTube. This way you can search any content in any specific website. This is a very helpful tips for students and researchers to find useful content/resource in a website. 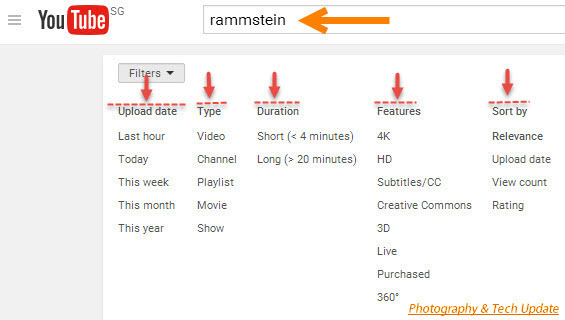 You can manually set filters otherwise you can use comma in a specific format to search YouTube videos with filter. 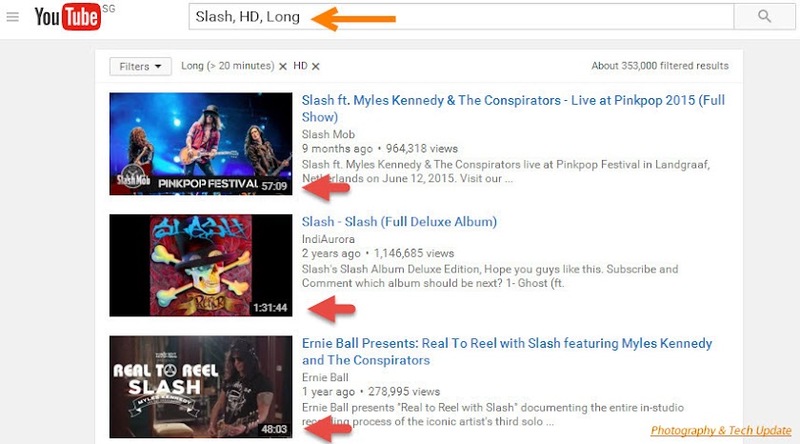 Example: If you search video of Slash’s HD music longer than 20 minutes then you should type these keywords in the following way “Slash, HD, Long”. The filter will search videos those are in HD mode and longer than 30 minutes. And if you use Short instead of Long in the filter it will shows videos lesser than 4 minutes. This is actually a smart way of not using the default filter manually. If you use filter in the YouTube search bar and want to delete any of the filters then you can remove any filter by clicking on it. It’s so simple. (+)Boolean Operator allows you to add additional keywords for your search results. 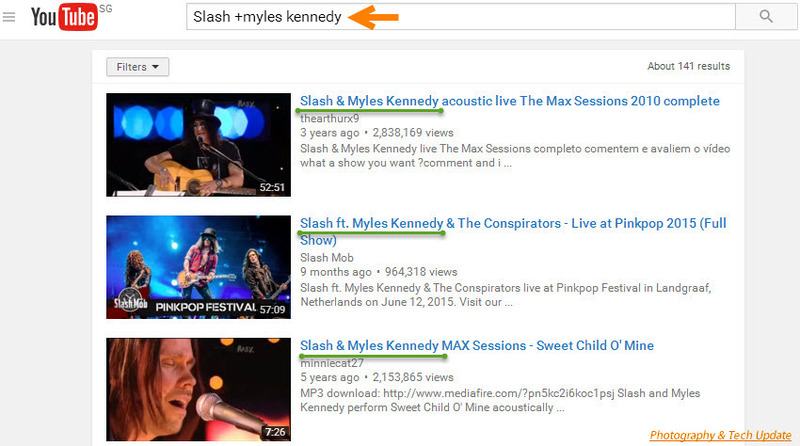 By using this YouTube search trick you will get results having both Slash and Myles Kennedy phrases. We can use hyphen (-) to exclude some phrases or keywords in the YouTube search bar. This search will exclude “live” word from the result. So if we want Rammstein video songs without live performances we can search this way. This results will show music videos, interview, and audio songs excluding all results having “live” keyword. This method of YouTube video search is very useful. *** There is an alternative of this method. You can use this method instead of the previous one. Both will show same video search results. We can use this trick also in google search. This will forcibly exclude other keywords from search result. 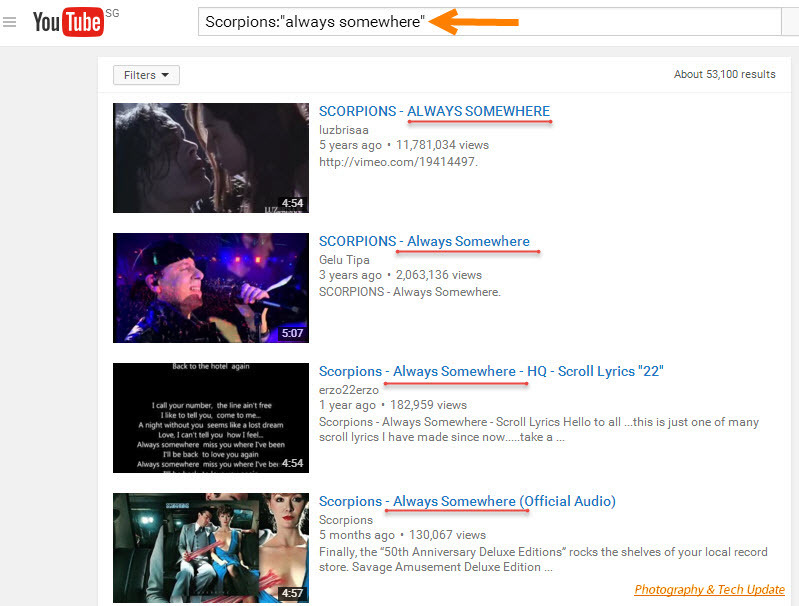 This search will provide search results having “always somewhere” keywords in it. Suppose you want to share a video with someone, or you want to show a motivational YouTube video in presentation for your employees and you want a specific portion of this video to be watched then you can use this trick. You can set the start time manually by yourself. This will allow you to start the video right from 1:05 seconds. Whether you are a marketer or an individual love using YouTube a lot or using it for a marketing purpose then understanding how YouTube search really work is essential. Here is my best search tips for YouTube search. You can use this simple advanced YouTube search tips and commands to boost up your YouTube presence. YouTube is very potential if you know how to search on YouTube videos efficiently or how to search YouTube like a pro. 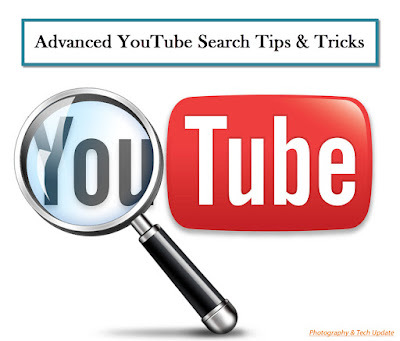 If you know any additional YouTube search tricks then share with us. I personally feel obliged after reading your blog. 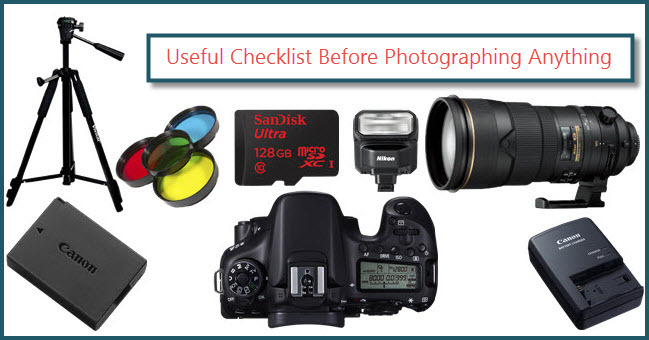 It is a comprehensive guide to photography basics. As a professional freelance photographer based in London, I feel this guide is perfect for beginner and intermediate photographers.